City of Veils centers on the murder of Laila, a documentary film maker intent on exposing the hypocrisies of Islam through her camera lens. At around the same time that Laila’s body washes up, an American security expert named Eric dramatically disappears after picking his wife Miriam up at the airport. Are the cases connected in some way? Osama, a fairly laid back detective, works with Katya who is relatively new to the department. She’s eager to be involved and make a difference. Katya is open-minded and non-traditional. For this case she brings in her friend Nayir, a Koran scholar. As a devout Muslim, Nayir struggles with his feelings for the unconventional Katya. 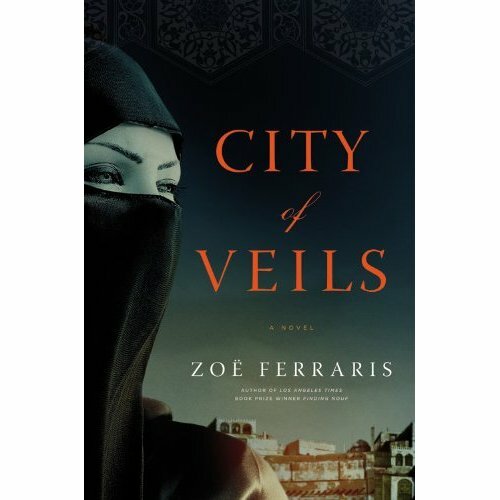 In City of Veils, author Zoe Ferraris deftly weaves together an intricate tale of individual struggles with antiquated customs. This thriller provides fascinating insight into the mysterious and cloistered lives of women in Saudi Arabia. The strange rules, the restrictions and limits and then the women who attempt to fight the systems. It’s an intriguing environment because 21st century technological, media and educational advances clash with a society that wants to keep women in subservient, sheltered situations. Ferraris illuminates the varying levels of religious devotion and the status of women in Saudi Arabia from several viewpoints. City of Veils contains plenty of twists and thought-provoking cultural situations to make this one of the best novels I’ve read all year.